Positioning a deck or patio at an angle to the house gives the design a dynamic character, and is particularly effective for relatively narrow sites in increasing the visual width. 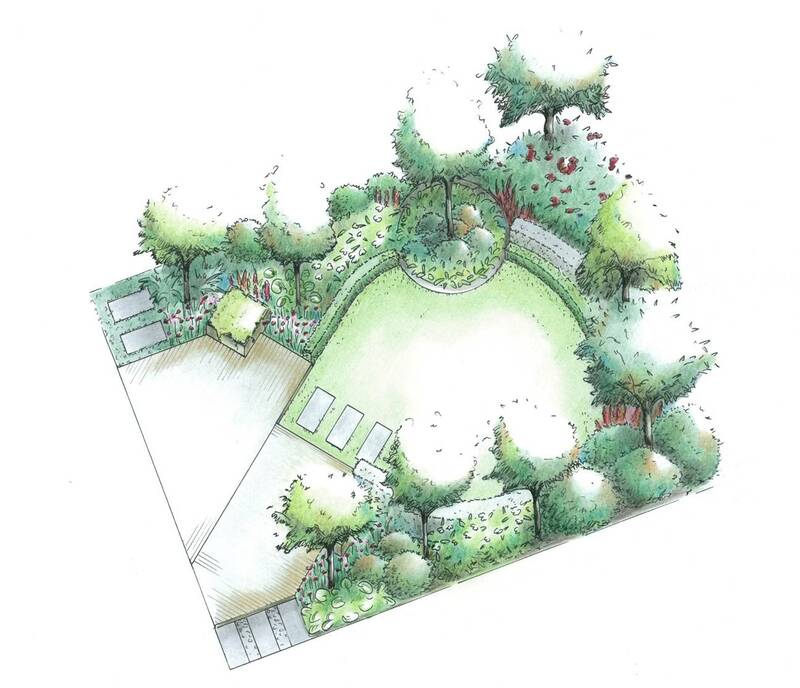 The underlying principle is the same as for planting along a narrow bed; planting in lines will make the bed seem longer and narrower, whereas planting across the bed will make the area seem more spacious. 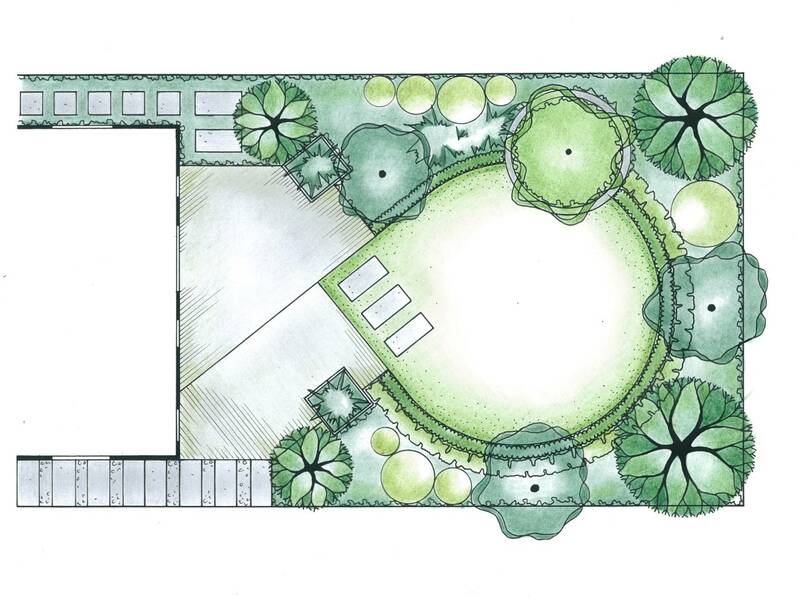 The challenge with the angular placement of the seating area is the linkage with the rest of the garden areas. Continuing the diagonal design is generally the best solution. In this plan, both parts of the deck create one corner of another, larger rectangle that is again positioned at the same angle. It could be left as a rectangular lawn, or used to introduce a circular shape as is done here. A small circular area, in line with the smaller of the two deck areas, adds depth and interest. It is planted with a specimen tree and undergrowth, but it could be developed as a lawn area, possibly with a sculpture in the center. The raised planters and trees on either side of the seating area make this space a little more intimate without loosing the connection with the large circular lawn and the planting beyond.